Have a complicated MVD issue. MVD issues can often be complicated and confusing, requiring more attention than usual to solve. The concierge services at MVD Express were designed specifically for unusual or complicated MVD issues. You’ll get the personal attention you need to get the problem solved the right way the first time. Need to completely skip the line. At MVD Express, you enjoy fast and efficient customer service every time you stop in. But sometimes you don’t even have five minutes to wait. We get understand. If you’re on a tight schedule and need personal attention immediately, schedule a concierge appointment. You’ll be able to completely skip the line. Have a personal MVD issue. Sometimes, you don’t want to have to explain your personal situation with a customer service agent in front of other people. And we’re sensitive to that. It can be especially difficult if you’ve recently lost a family member and need to transfer a title out of their name, or another similar situation. We’ll keep all information confidential and do our best to find a way to help. Need additional personal attention. Every customer service agent at MVD Express will give you a high level of personal attention. There may be a time or two when you need extra time to explain your situation or circumstances surrounding your MVD needs. 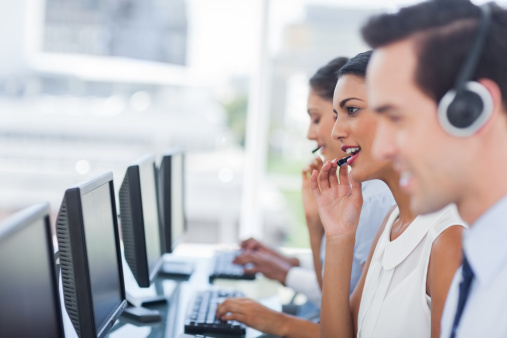 That’s the perfect time to schedule the undivided attention of a customer service agent. You can speak with a representative at our call center or at any of our locations to schedule a concierge appointment. Skip the line completely and get right down to business! Contact us today to schedule an appointment. We’ll see you soon!